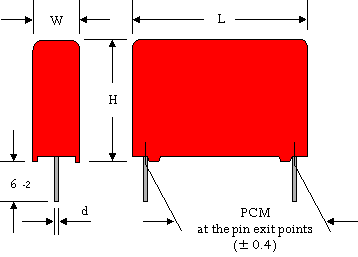 WIMA MKP 4C Compact Type: Metallized Polypropylene (PP) Capacitors. 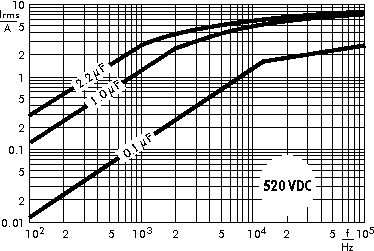 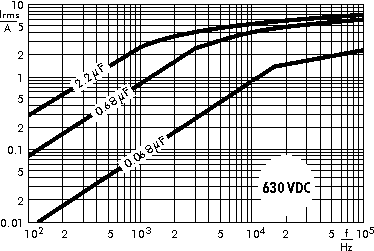 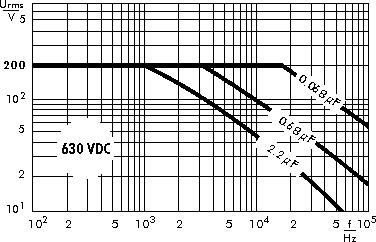 Capacitances from 0.068 µF to 2.2 µF. 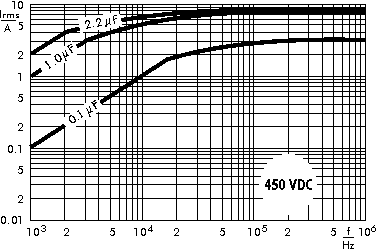 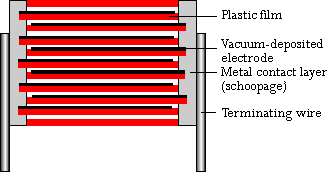 Rated Voltages from 450 VDC to 630 VDC. 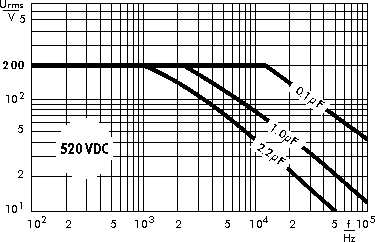 PCM 10 mm to 22.5 mm. 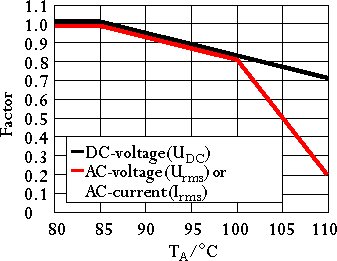 Compared to nominal voltage, the admissible AC voltage (Urms) and DC voltage (UDC) have to be reduced by 1.33% per K according to the graph. 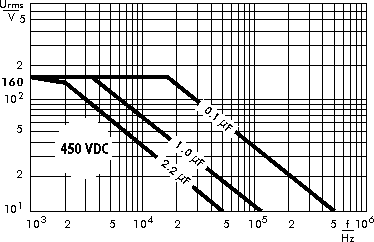 Rights reserved to amend design data withpot prior notification.